Massachusetts General Laws Chapter 276 Section 58A permits the district attorney to move for detention if the defendant is charged with a felony that has an element of physical force or a threat thereof to an individual. Some Massachusetts district attorneys offices have a policy requiring their assistants to move for detention under this statute for any case involving the alleged use of a firearm, domestic assault and battery or intimidation of a witness. They often do this without regard to the plausibility of the underlying allegations. Prosecutors rarely take the time to investigate the allegations before requesting detention. Instead they rely on what has become an improperly applied nuance to the law; G.L. c. 276 Section 58A(4). This post examines why some Massachusetts judges delay dangerousness hearings and what can be done to avoid unnecessary detention. What Does G.L. c. 276 Section 58A(4) Permit? This section of the dangerousness statute requires a judge to conduct a hearing to ascertain whether there are conditions of release that “will reasonably assure the safety of the community”. In other words, is it really necessary that this person be held? The hearing is to be held “immediately upon the person’s first appearance”. There is a provision in this section that affords the both the defense and the prosecution a continuance. The defense can get up to seven days. The prosecution is limited to three “business” days. The statute does however require that the party requesting the continuance show good cause for its request. The “good cause” requirement has become very relaxed for the prosecution. Moreover, unless the defendant is arrested and arraigned on a Monday or a Tuesday he is likely to spend five or six days in jail before getting his hearing. Prosecutors regularly request the three business day continuance. Many judges improperly view this as their right. This can result in innocent people being incarcerated “out of an abundance of caution”. It also enables prosecutorial laziness. Many judges, particularly those in the district courts have great concerns about the allegations underlying the detention request. Consequently, they simply grant the continuance rather than putting the prosecutor to the task of trying to get witnesses into court that day for a hearing. Additionally, 58A hearings can take some time. Initial detention requests occur on the day of arraignment. Many other cases have already been scheduled for that day. The court was not expecting to have a somewhat protracted matter added to its list. Thus, busy dockets might prompt some judges to give the Commonwealth its continuance simply as a way to manage their calendar and get through the day by 4:00. There are however steps a criminal defense attorney can do to prevent this. Keep in mind that the commonly accepted “three business day” rule is not a right. Rather, the prosecutor must show good cause for requesting the continuance. Of equal importance is the fact that the district attorney must justify the need for three days as opposed to one day or two days. Too many judges view the three day rule as automatic. It is not. In 1996 Mendoza v. Commonwealth, established that a three day continuance shall be granted only if the district attorney can show good cause for it. A judge has to make findings that such cause has been shown. They often don’t. Instead, they rubber stamp the district attorney’s request. Defense attorneys should challenge a prosecutor’s request for a continuance and make them demonstrate the need to do so. 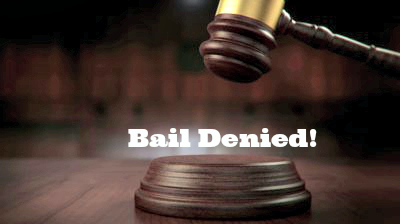 If the request for a continuance is granted the defense lawyer should then limit the time for the continuance. In other words, object to the three day continuance and ask the judge to make the prosecutor demonstrate why that length continuance is needed. The Law Offices of Stephen Neyman, PC has been fighting for the rights of the accused for nearly three decades. If you need a lawyer call us now at 617-263-6800. We can help you. We will protect your rights and we will fight for you.